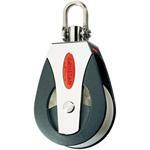 All-Purpose Block, Single, 1,650lb. SWL, 4.1oz. 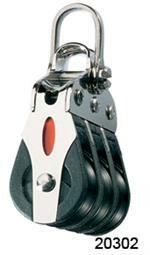 Series 20 Block, Double with 2-Axis Shackle Head, 770lb. SWL, 1.5oz. 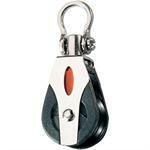 Series 20 Block, Single Shackle Head, 550lb. SWL, 0.7oz. 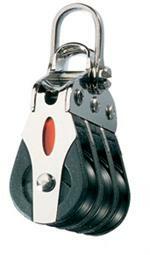 Series 20 Block, Triple with 2-Axis Shackle Head, 880lb. SWL, 2.2oz.